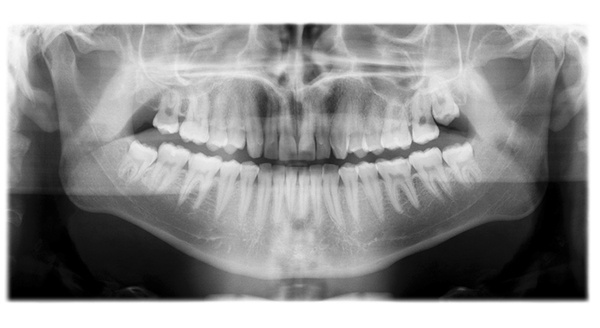 Panoramic x-rays have a long history in dentistry. In the History of panoramic radiology, author Dr. Dorrit Hallikainen, MD, PhD, notes that “Panoramic radiography is an essential element in oral radiology today.” He continues, “the first attempts to image the whole jaw were made with intraoral radiation sources at the beginning of this century,” and cites that the narrow-beam principle was described as early as 1922, but the equipment was not offered for commercial use until the 1960s. She describes, “We just put them in the machine, move their feet into position, set them up with the laser lines, secure their head, and we have the image in a few seconds.” Here’s a short video on this process. She notes that she the system has nearly eliminated the need for retakes. “In the almost three months that we have had our Gendex machine, I have had only one retake,” she says. We, at Gendex, understand the needs of the dental practice. That’s one reason why both the new GXDP-300™ and GXDP-700™ digital panoramic systems have EasyPosition™. With easy-access controls, a sturdy chin support, ergonomically designed hand-grips for patient comfort, fully adjustable head support, and laser alignment lights to accurately guide patient positioning, dental hygienists and assistants can offer their dentists the high-quality and consistent results of “proper” pans.